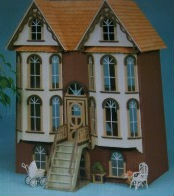 The Emerson Row House is a Greenleaf kit that is currently not in production. 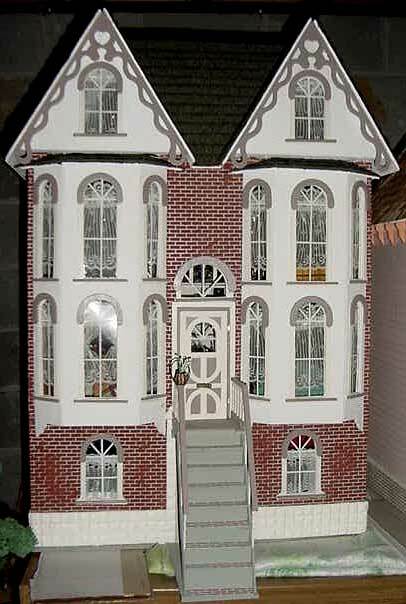 This kit has an issue with the lower floor in that the ceiling height is very low. 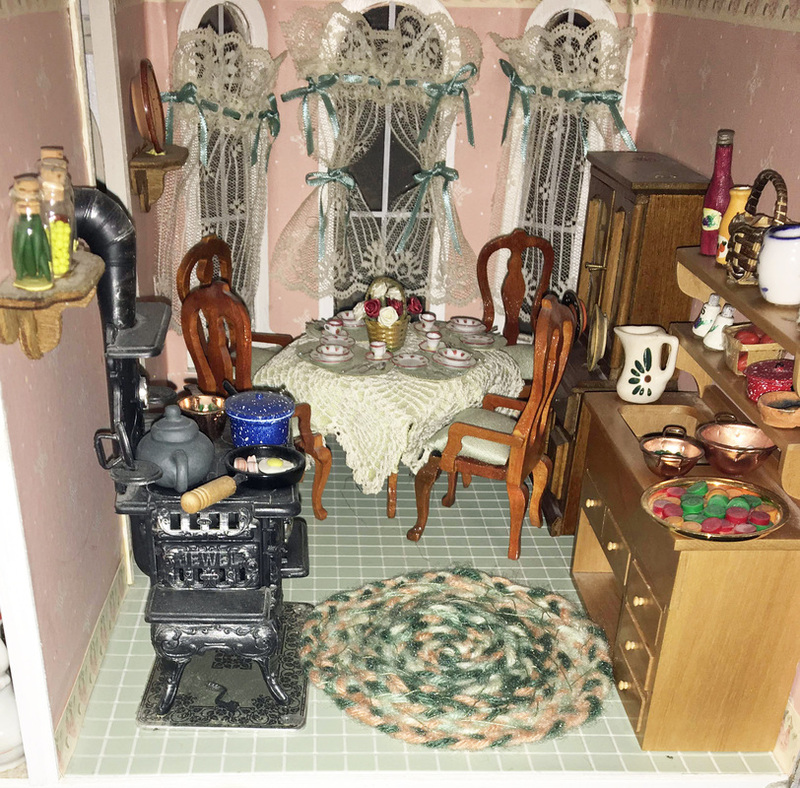 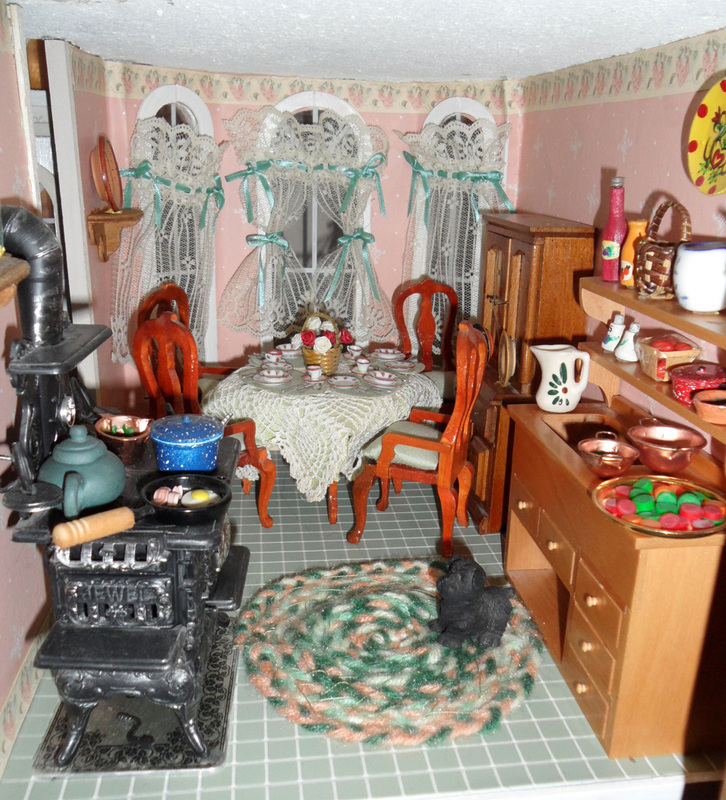 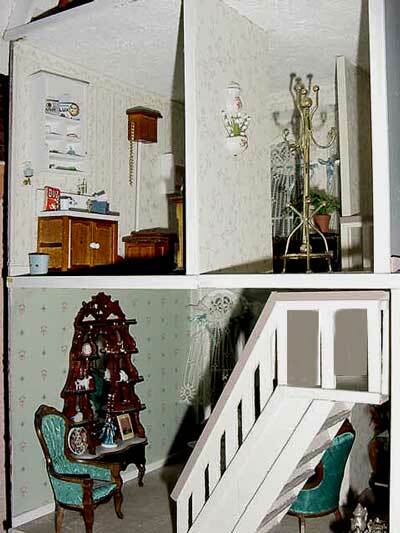 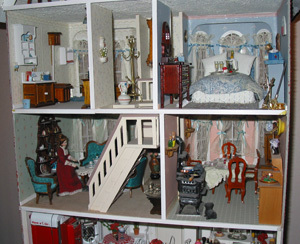 In a one-inch scale setting only miniature people who were 2 feet tall would be comfortable. 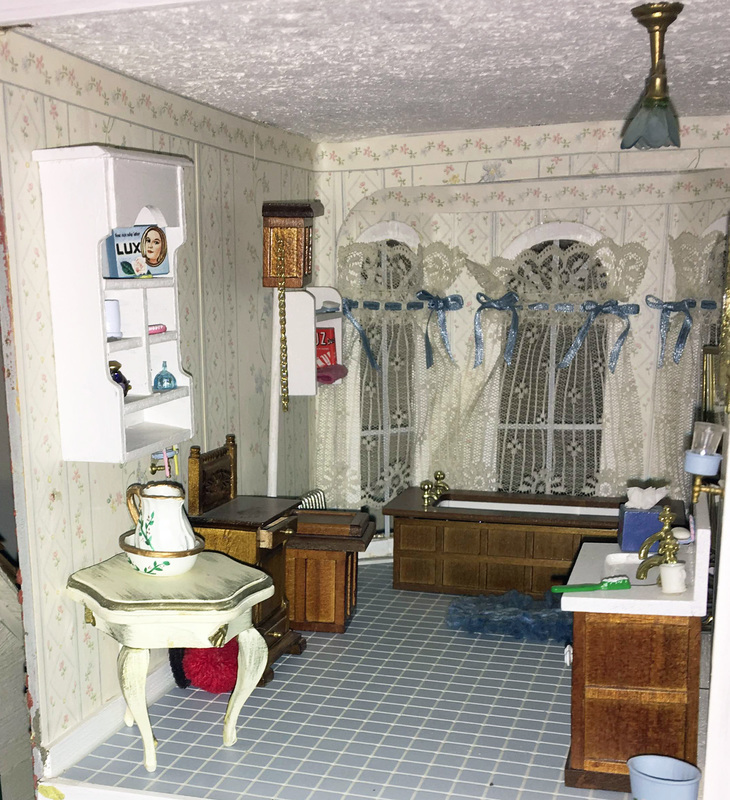 Upon finishing this house, I tried putting a child's bedroom in this space, but still found this unsatisfactory. 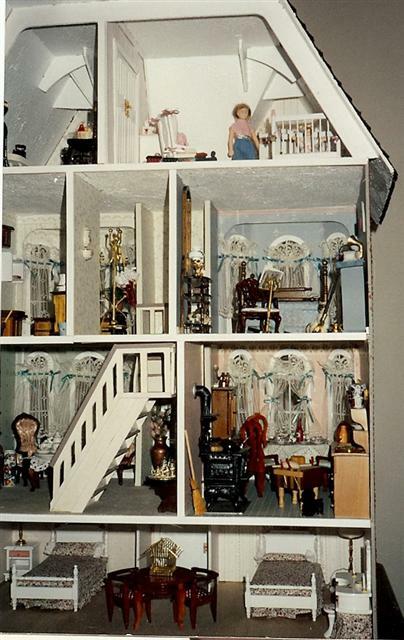 So I removed the base and added a 2 1/5 inch board to the wall in order to increase the ceiling height. 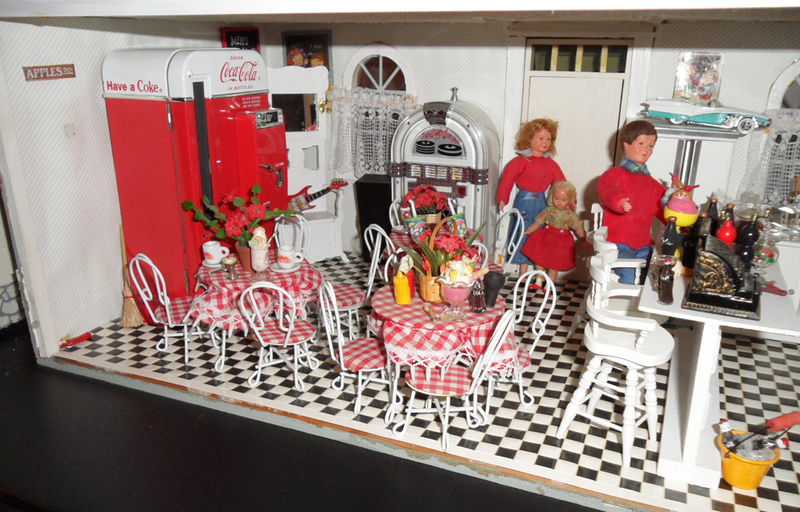 I then turned the lower floor into a soda shop. 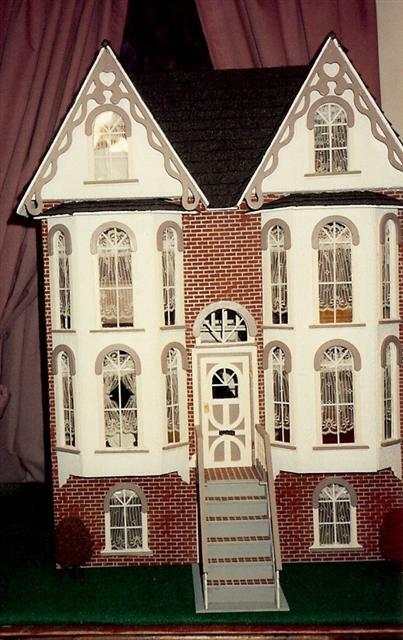 Emerson Row before lower floor addition. 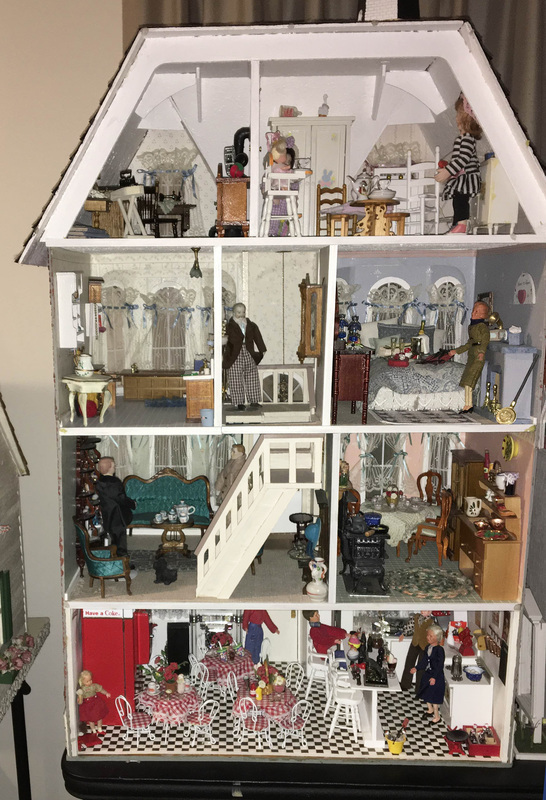 Note the low ceiling height in lower floor. 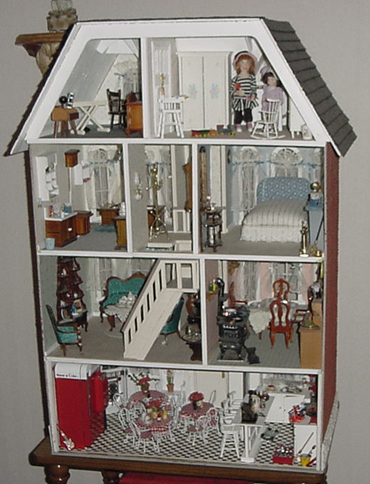 This picture was taken before the extension was added to the bottom section of the house. 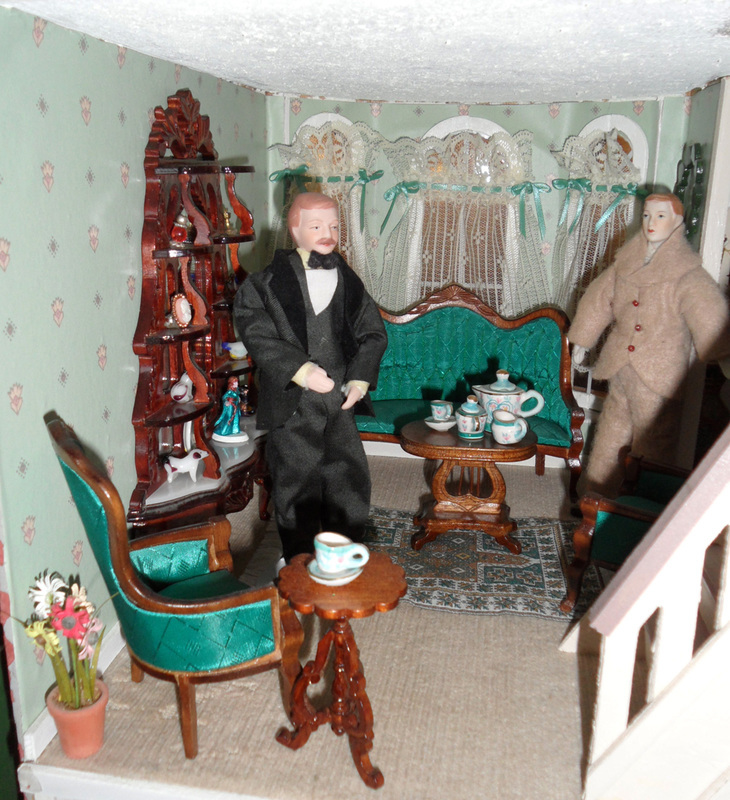 Emerson Row after lower extension of the lower floor. 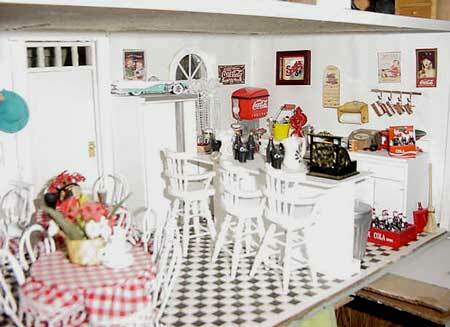 A soda shop now resides in the lower section. 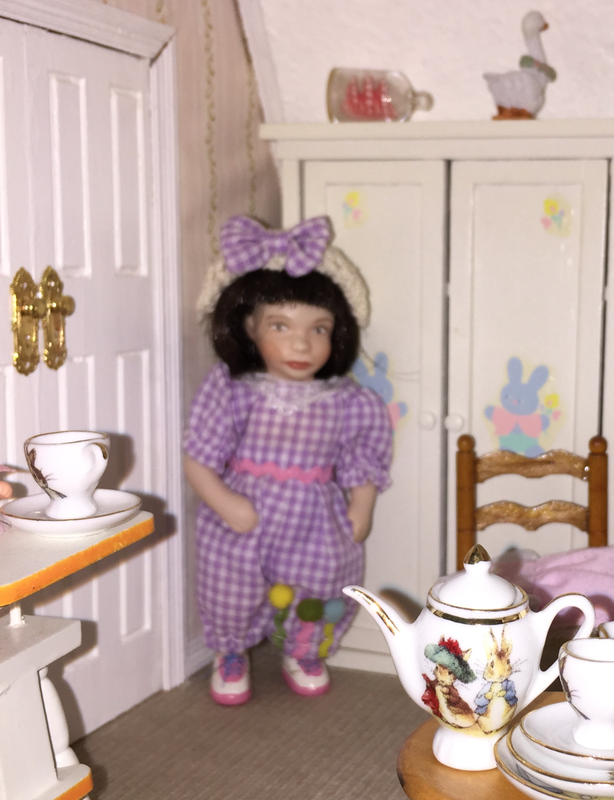 These Wee Things, Porcelain Doll "Lollipop" are by artist Roxanne Hall and were released in 1995. 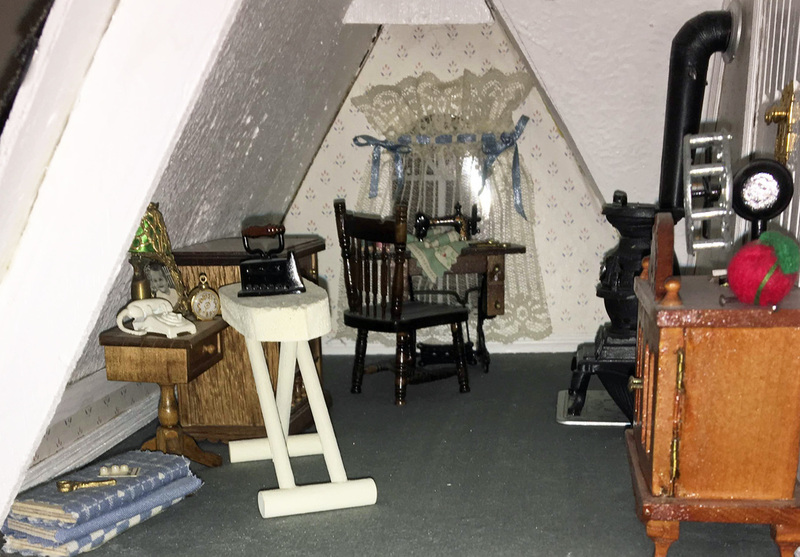 A little sewing room is located beside the third floor nursery. 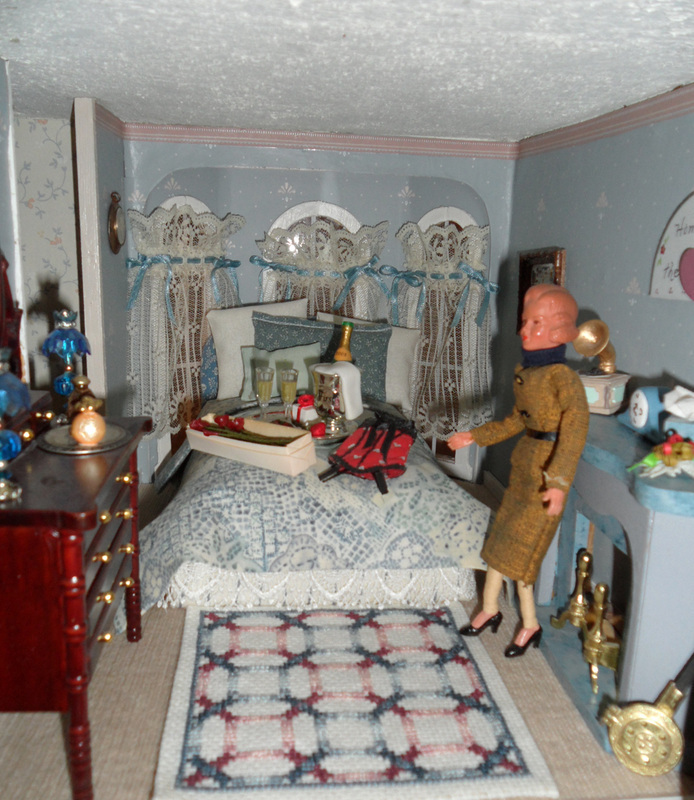 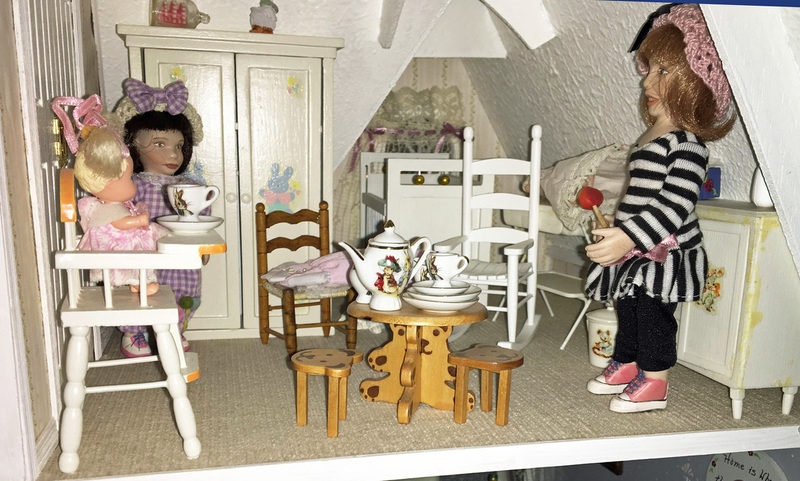 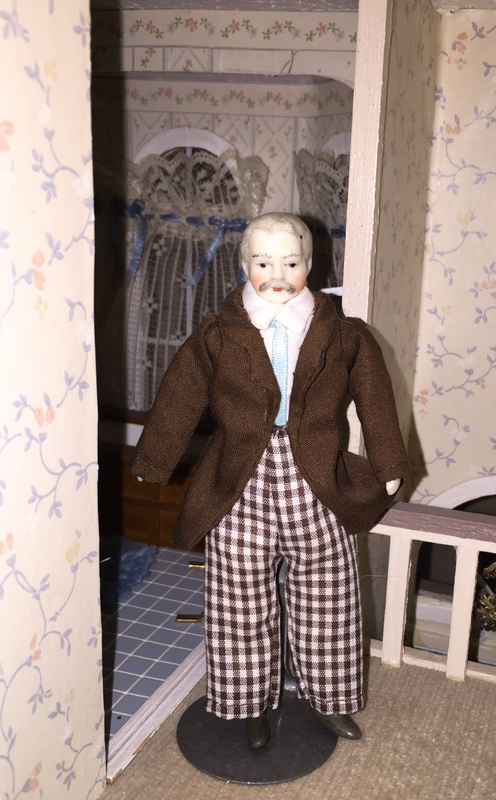 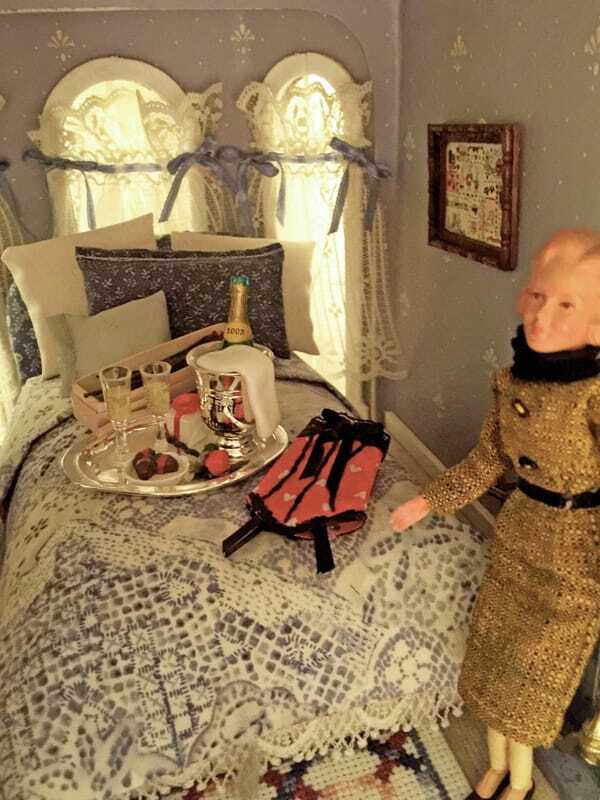 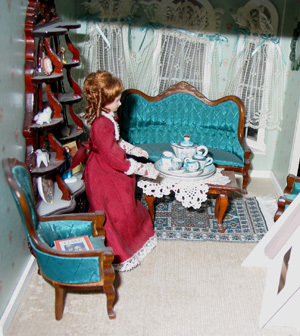 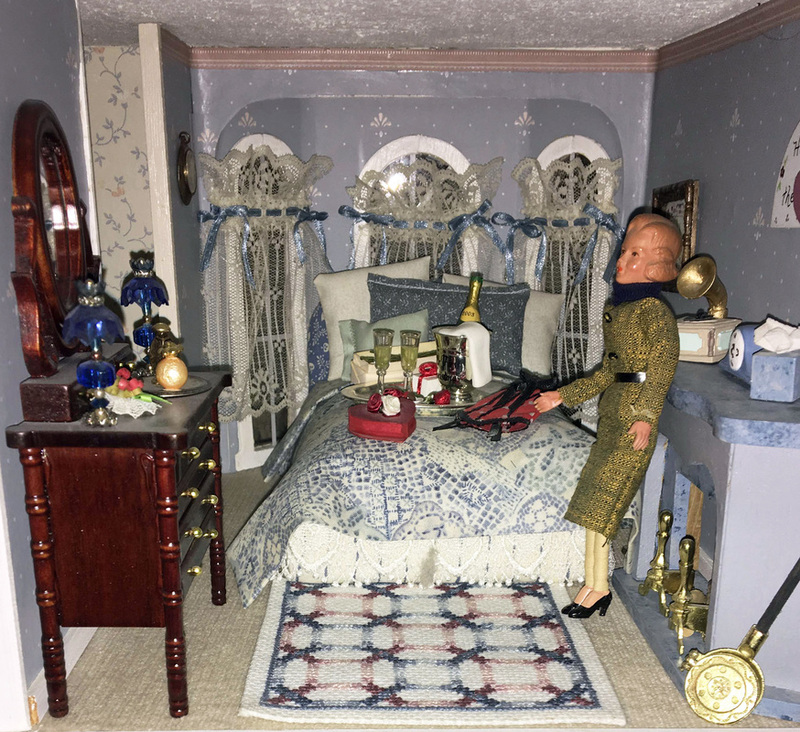 A Concord doll and an unknown older doll are visiting in the parlor. 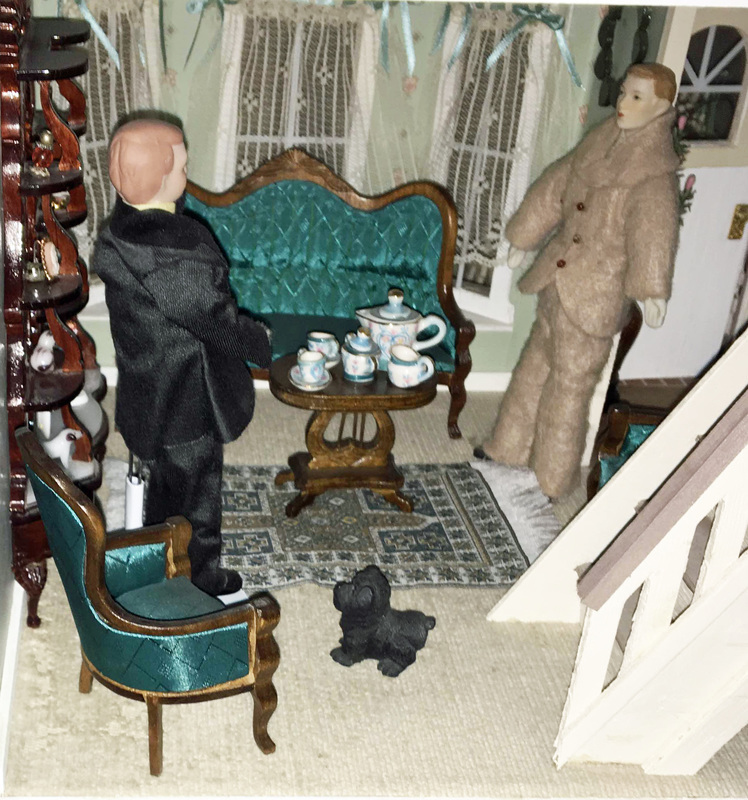 In the stairway landing hangs an antique Shengas German clock, circa 1895. 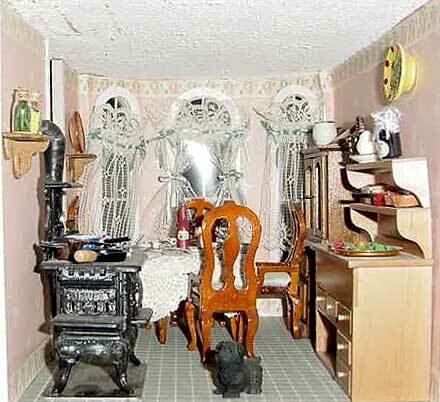 The bed is made from ceiling tiles. 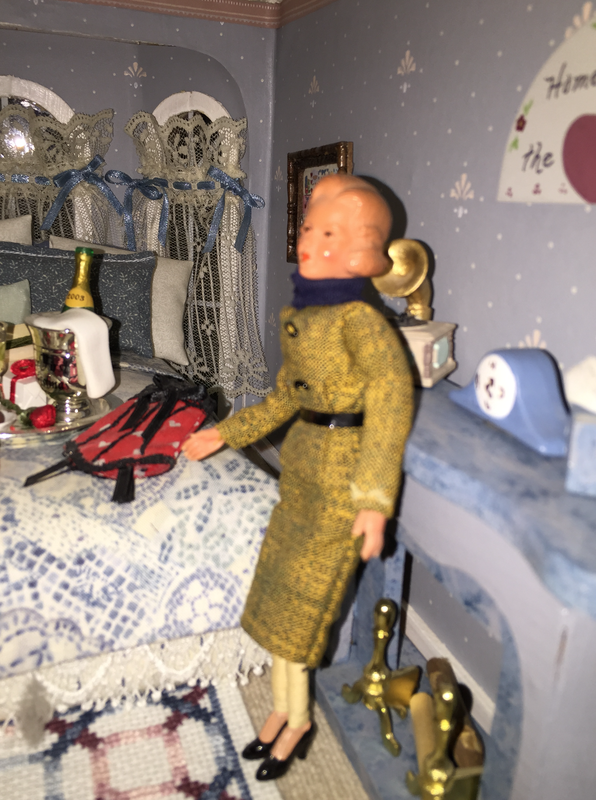 A Caco doll stands beside the fireplace. 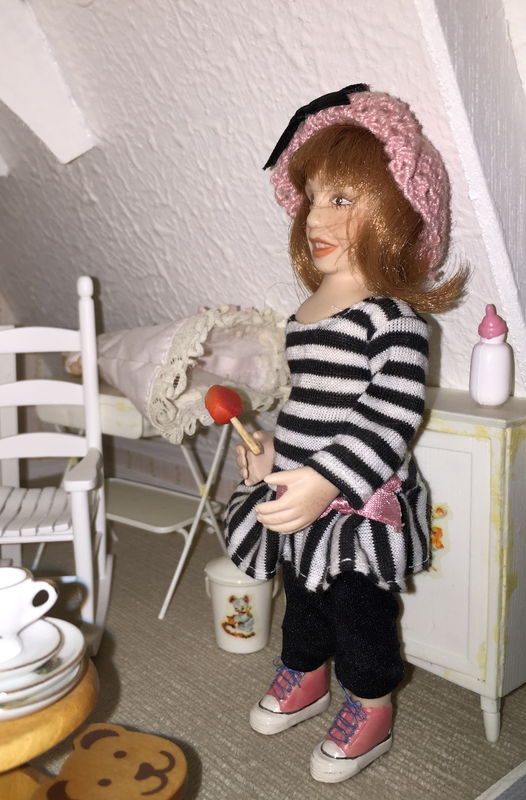 She has metal feet, making her one of their older dolls. 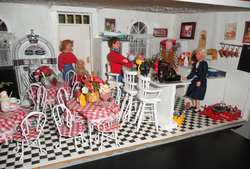 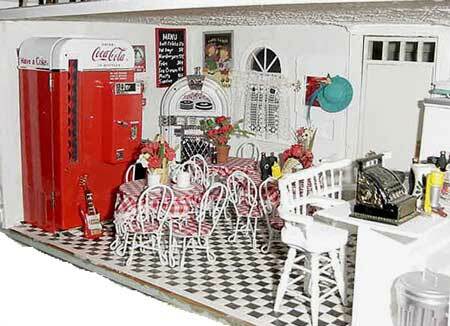 Caco dolls also inhabit the soda shop.